LIFE is the European Union’s Financial Instrument for the Environment. The program runs since 1992. The current funding cycle for LIFE is from 2014 to 2020. The program funds projects on the topics of Environment, Nature & Biodiversity and Climate Action. The Project LIFE Floodplain Amphibians is a NATURE project. This project will improve the condition of endangered species and their habitats. 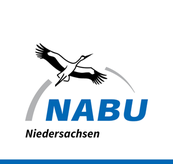 The project’s action support the implementation of the Birds Directive and the Habitats Directive towards the creation of a Natura 2000 network.